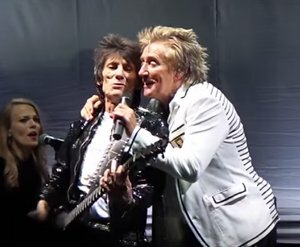 Ronnie Wood, Rod Stewart and Kenney Jones performed together in public for the first time in over 20 years on Saturday 5th September. The surviving Faces played Rock 'n' Horsepower at the Hurtwood Polo Club – an event organised by Kenney Jones in aid of Prostate Cancer UK. All three took to Twitter to share their thoughts following the momentous occasion. 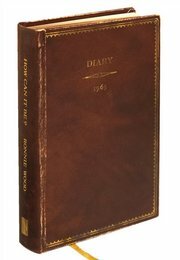 Their seven-song set included ‘Stay With Me,’ ‘You Can Make Me Dance, Sing or Anything,’ ‘Sweet Little Rock 'n' Roller’ and ‘I Feel So Good.’ Stewart, Wood and Jones also paid tribute to Ronnie Lane with a touching rendition of ‘Ooh La La,’ and remembered Ian McLagan, who passed away last year. You can watch videos of their performance by clicking here. Genesis were lucky enough to attend the event, and to meet new and loyal subscribers throughout the day. Thank you to everyone for your stories and support! 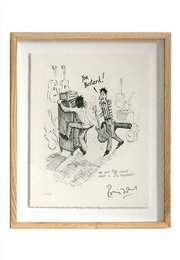 For those who didn’t have a chance to preview Ronnie Wood’s book and prints, follow the below links to view and order online today.